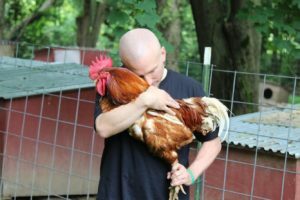 As a graduate of Animal Advocates of South Central PA’s May 2018 Vegan Challenge, I can assure you that there is plenty of support and accountability available for anyone interested in saying “goodbye” to animal products, and “hello” to compassionate living. Whether your reason is ethics, environmental, health, or even if you’re just curious about veganism, this challenge is for you. 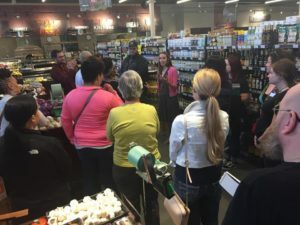 For a small fee, participants of the challenge received daily emails filled with valuable tips and podcast links, a grocery store walk-through with a vegan dietitian, two vegan cooking classes, and Colleen Patrick Goudreau’s book The 30-Day Vegan Challenge! Every day of the challenge was an opportunity to read expert advice, listen to impassioned testimony, and explore vibrant and exciting new recipes. With this new understanding, I could no longer consciously continue to put items on my plate that I knew to be damaging to myself and other sentient beings. I have been vegetarian most of my adult life, but struggled to let go of certain foods that seemed too difficult for me to pass up. Homemade mac n’ cheese, cheese and crackers, cheesecake! Dairy in general. Milk products are baked into and added to almost every processed food in this country. All of the “good stuff” like chocolate milkshakes, fettuccine Alfredo, and buttered biscuits are strictly off-limits as a vegan. How on Earth was this homegrown Southern gal going to survive without the cheesy, buttery goodness of mom’s cooking? I was already meat-free. Isn’t that enough? I mean, I can sleep easy knowing that no animals were harmed at my request, can’t I? Well, that’s where signing up for the vegan challenge comes into play. There is truth to the phrase “ignorance is bliss”. You cannot be held accountable for what you do not know. That’s why they say knowledge is power, because knowledge demands action. That said, the transition is not without its struggles. I live with omnivores. My 3 year old survives on chicken nuggets and my husband loves steak and potatoes. I also still miss cheese, but I feel good when I’m vegan – body, mind, and soul. My palate is changing and most of the foods I used to crave that contained animal products no longer find a home on my wish list. 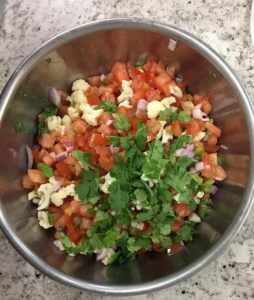 In fact, my family and I now experiment with vegan friendly recipes and together we are taking an educated and active role in our health and wellness. I feel strong. I feel liberated. Going vegan is a journey, so enjoy it as such. Read, explore, and get creative in the kitchen, but most of all, have fun! Rekindle your love affair with fresh and wholesome foods. Joining the next Vegan Challenge hosted by Animal Advocates of South Central PA is a great place to start. Hope to see you there! For more details and to sign up for the October 2018 Vegan Challenge, check out this link!